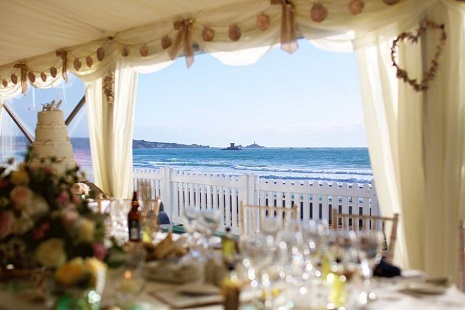 With our idyllic position overlooking one of Jersey's most picturesque bays, there is no better venue to host your next event. At the Watersplash we have years of experience in creating unique events, whether it be for a private birthday party or a corporate event for 700! Why not make a day of it and join with one of our partners in the Bay to enjoy Surfing lessons or even Blokarting sessions. With a variety of choices from packed lunches to hog roasts with all the trimmings we can help you create the perfect day. With our strong links to the Splash Surf Centre in an enviable position right next door, there are great times to be had by combining some time in the water learning to surf, followed by great food and drinks in Jersey's premier Beach Bar and Diner. Whether it is for a birthday party or a corporate family day, we can provide all the ingredients for a successful event. A Blokart has 3 wheels, a body like a go kart and uses a sail like one found on a sailing dinghy to give it the momentum to move. Blokarting was pioneered in New Zealand by Paul Becket and is now a thriving recreational activity for the whole family. A Blokart is controlled or sailed using only hands; this means size and mobility is not a barrier to enjoying a day's sailing on the sand. It's very exciting, and safe when the right protection is worn, and the environment is controlled. St Ouen's Bay is the perfect location for blokarting with its wide open beach and good wind. You can race friends and family under the supervision of qualified blokarting instructors. The Watersplash Beach Bar & Diner is so flexible throughout the year, it can be used in many ways - enjoy your own private bar and hog roast overlooking the ocean, or talk to us about hiring the nightclub for an event up to 700. We can host almost any event, including wedding receptions with a difference! Whether it's sporting events on the beach or international events on TV - we've got it covered!